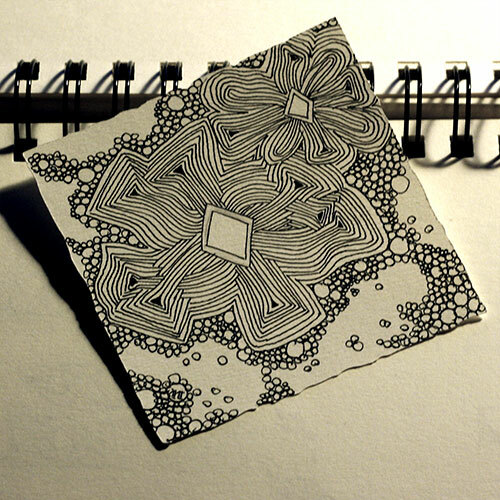 ... a Square One: Purely Zentangle Challenge. I love the weekle challenges hosted by the facebook group mentioned above. This one we have to draw "IX" a official Zentangle pattern I never drew before. So I wanted to test this pattern on a tile. I haven't shaded the tile yet but I wanted to show you my preliminary result. I think this pattern isn't difficult to draw but finished it looks really complex. I like it. I will shade the diamond shapes like gems (but only with pencil to meet the group-requirements.